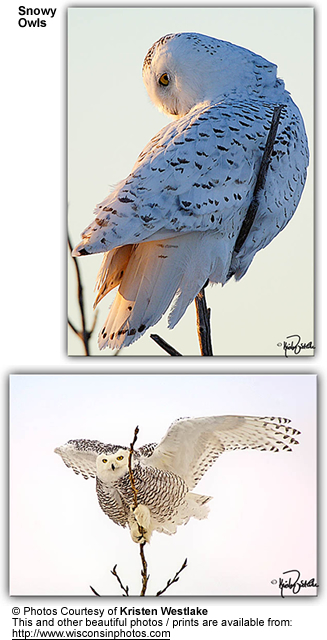 The Snowy Owls (Bubo scandiacus) - also known as Arctic Owls or Great White Owls - are beautiful, large owls with a plumage that ranges from pure white (males) to white with some brownish-black markings (females and juveniles). 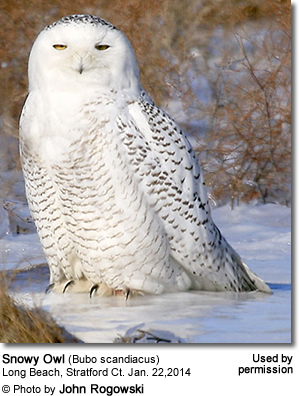 According to genetic analysis, they are closely related to horned owls in the genus Bubo. Due to their extraordinarily striking appearance, these birds are popular in captivity and are commonly on display in zoos and wildlife centers, but are also in demand by private collectors (for use in falconry, for example). However, these owls are not hardy in captivity and have shown to be susceptible to disease, stress and heat; hence many of them perished needlessly. These birds are not recommended for anyone but the most experienced keepers of raptors. 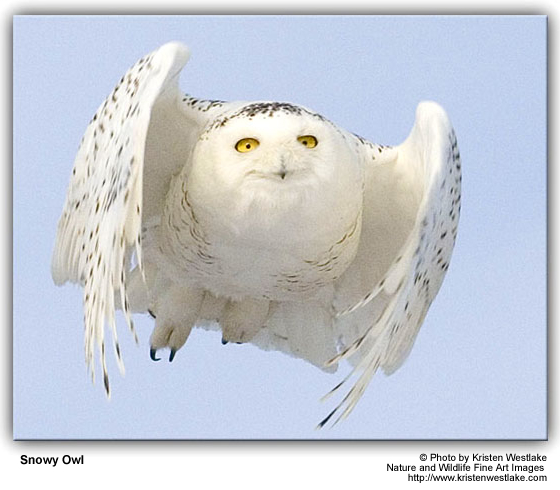 Snowy Owls occur breed in the northern circumpolar region, and migrate south through North America (USA and Canada) and northernmost Eurasia for the winter. In the USA, they have been reported as far south as Texas, Georgia, the American Gulf states, and even the Caribbean. Adult females: Dark scalloping to the feathers. 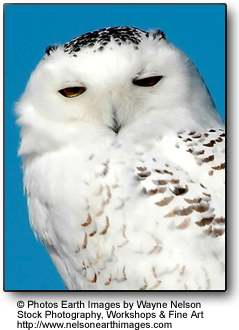 Snowy Owls usually feed on lemmings and other rodents for food, but may also take the nestlings of other birds. They hunt both during the day and at night. Most breeding is in May. 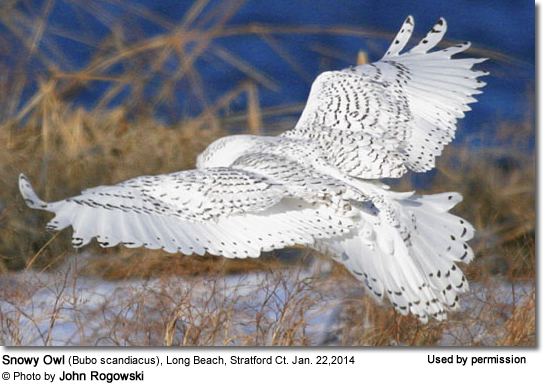 Snowy Owls nests on the ground, building a scrape either on the top of a mound or a boulder. They may use gravel bars and take advantage of abandoned eagle nests. A clutch may consist of 5 to 14 eggs and the incubation lasts around 35 days. The chicks are covered in white feather down. Both parents feed and protect them. Alarm Call: barking krek-krek-krek-krek; also make sounds that appear to be clapping of their beak when confronted with an intruder or predator. However, the clicking sound is believed to be made by the clicking of the tongue.